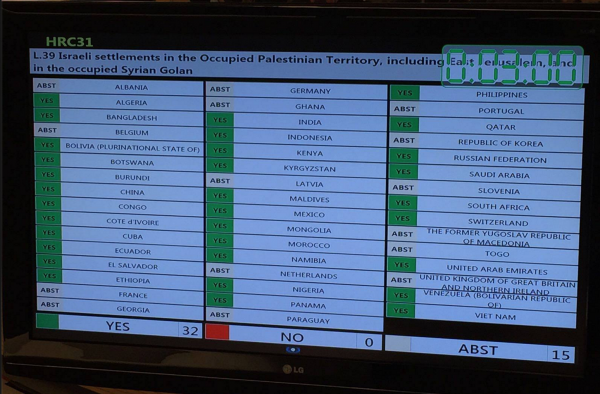 The UN Human Rights Council has this afternoon voted to “to produce a database of all business enterprises” that operate in illegal Israeli settlements. Occupied Palestine, 17 March 2016 -- The global movement supporting the Palestinian people’s right to freedom, justice and equality has taken impressive steps into the political mainstream in recent years. The United Nations Children’s Fund (UNICEF) in Jordan http://www.jordantimes.com/news/local/unicef-terminates-services-securit..."
A finalist for Miss Canada has called for BDS from the stage of the event! “If I win, I will proudly wear my crown on a boat to Gaza, in protests for social justice and against austerity,” says Hala, Miss Canada finalist, a civil engineer and board member of PAJU. 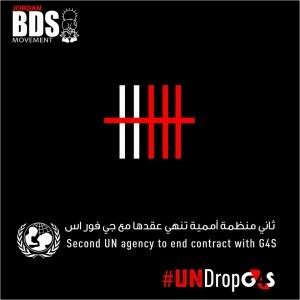 The Palestinian BDS National Committee, the largest coalition of Palestinian student unions, trade unions and other civil society bodies that leads and supports the BDS movement, was deeply heartened to hear of the vote in support for BDS at McGill university. We congratulate and thank all of the organisers involved and each of the 512 people who voted in support of the motion.